After the Vietnam War, the Royal Lao Government tried to make a peace agreement with the Pathet Lao. But this agreement turned out to be a complete failure because by 1975, the Pathet Lao was successful and communism took over Laos. After the takeover, General Vang Pao and other Hmong leaders knew that they could not stay in the country of Laos anymore. 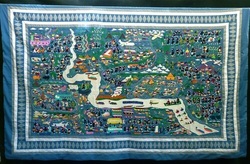 On May 14, 1975, the United States returned to evacuate 2500 Hmong out of Laos and into Thailand. This included General Vang Pao and his officers. 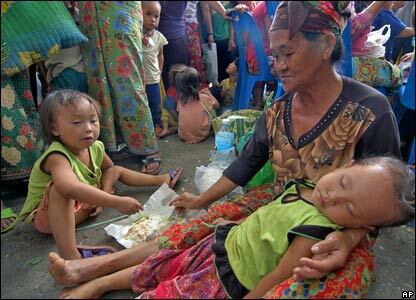 But thousand of other Hmong were left behind and they were left with two option. Either risk it, and go west to Thailand or stay in Laos and hope for the best. Those who were caught going west were stopped and killed by the communist and those who stayed in Laos were persecuted for their actions. Those who made it to Thailand were put in a refugee camp. "As the atrocity continued, people left and they had to cross the Mekong River. 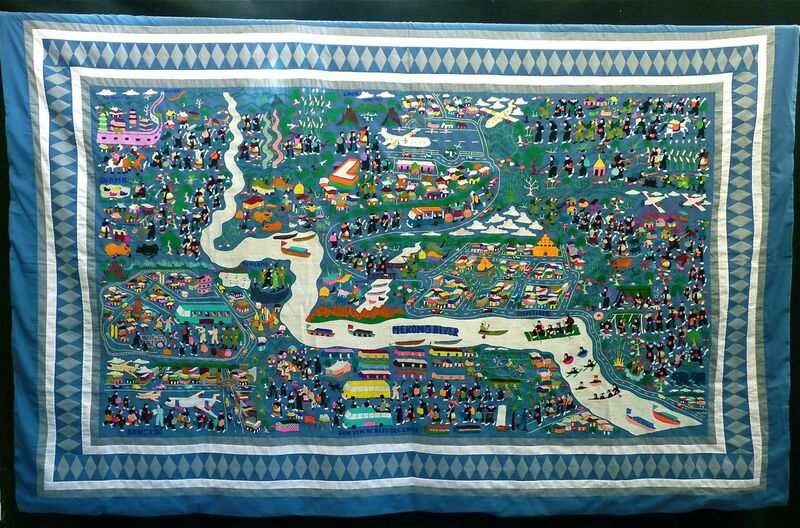 To get across, people made rafts or blew up plastic bags or hire Thai ferry men." 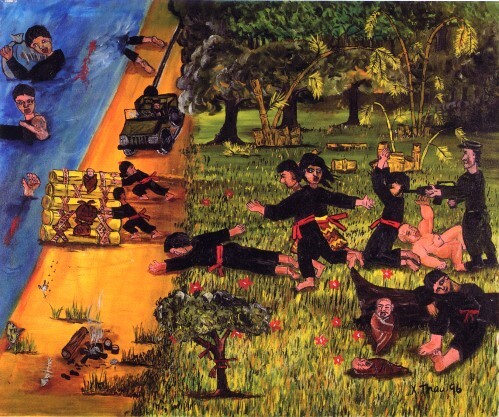 After the communist takeover, the Pathet Lao and the NVA basically declared a mass genocide on the Hmong. They went from village to village trying to figure out which person was fighting for the US. 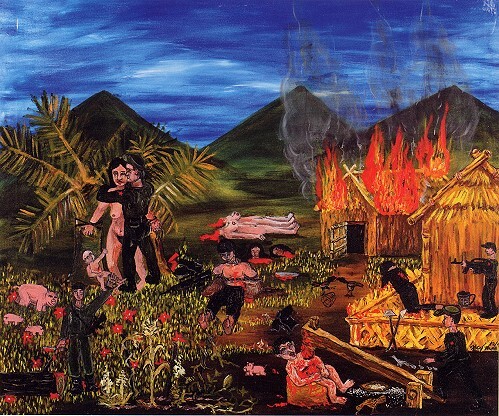 The communist raped women, killed babies, tortured the civilians, and the men who the communist thought were involve in the war were secretly killed at night. Some children were re-educated by the communist and other children were brainwashed into believing that their parents were the enemy. The communist also used a poison called yellow rain to wipe out many villages. 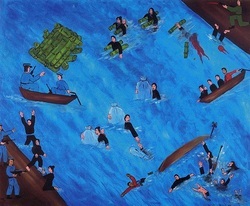 Today, some Hmong are still trying to escape Laos. There are also ex-soldiers who are stuck in the jungles of Laos because they can’t move without the special stamp of approval. 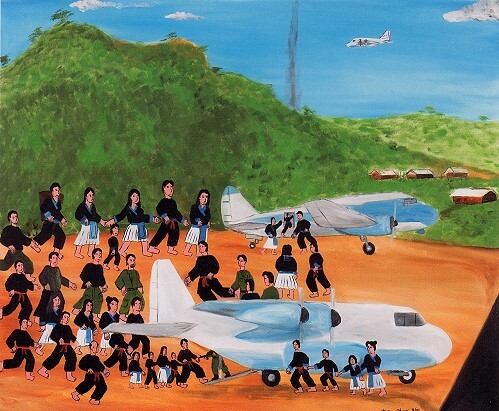 Even today, some Hmong in Laos are still being persecuted and tortured because of the war. The population of the refugee camps in Thailand has decreased because most of the Hmong has either immigrated to another country, moved back into Laos, or settle into Thai society. The major countries that the Hmong has immigrated to are the USA and France. These Hmong have now integrated into the society of their new country and they are now living a normal everyday life.